Prepare for the Worst. Protect the Ones You Love. Learn what you need to know about surviving nuclear war, directly from a professional trained in Physiology, Nutrition, and Radiation Biology. And it’s free! The threat of nuclear war grows more likely with each passing day as tensions continue to mount all around the world. When nuclear war does strike, few civilian survivors will know how to protect themselves and their families, leaving them vulnerable to the terrible effects of regional and worldwide atomic fallout. 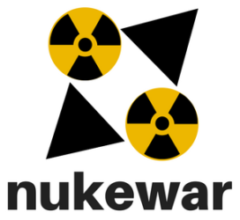 Nukewar.info provides you a comprehensive nuclear war survival guide with an emphasis on radiation protection. Explained by research scientist Dr. Karl Simanonok, you will have the opportunity to learn what you need to know to survive in the aftermath of nuclear war and other catastrophic nuclear contamination events. 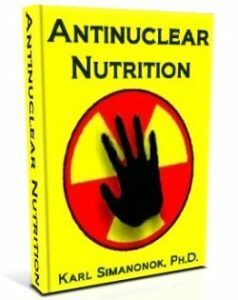 Dr. Simanonok provides a range of resources through emails, webinars, group discussions, reading materials and more, all with the sole focus of enabling you to survive any dangerous nuclear situation. Holding a Ph.D. in Physiology with a minor in Radiation Biology and a Master of Science degree in Nutrition, Dr. Simanonok understands how to protect your body against radiation, especially those sources which can enter your body to cause the most harm to your health. You will learn how to prepare yourself against the threat of nuclear disasters including the fundamentals of radiation biology, advanced radiation protection methods, and much more. The purpose of this course is to genuinely help others, so everything included is absolutely free! Simply register below and validate your email address, then you will be able to access all the nuclear protection resources included. Register below and the textbook for the course, Antinuclear Nutrition, will be available for free download on your Account page. The book’s subtitle “Background and Principles for Reducing the Internal Radiation Dose After Nuclear Contamination or Nuclear Disaster” indicates its emphasis is about protecting yourself against internal emitters, radiation sources inside your own body. These most dangerous and damaging kinds of radionuclides can enter your body through air, food and water, which is why your post-nuclear nutrition is so important! You’ll learn about the radionuclides of greatest concern, their biological pathways into your body, and how to deal with them. This will be vitally important knowledge for you to understand and be aware of in any postnuclear environment. Antinuclear Nutrition also discusses radiation protection principles for external sources of radiation and serves as a general reference on the fundamental principles of radiation physics and radiation biology. You should print a copy as a reference for when the power goes out! I created this course in radiation protection to help those who feel the approaching threat of nuclear war or other dangerous nuclear contamination. Through my training in Radiation Biology and teaching it at the college level, practical experience working with radioactive materials, and writing the book on the topic, I fully understand how to protect against ionizing radiation, and I want to teach others what I know. It’s really not as difficult as you might think. This course is offered at no charge because my goal is simply to help people stay as uncontaminated as possible when the worst does happen. I urge you to register and learn the critical principles to keep yourself and your loved ones safe in the event of a nuclear catastrophe.